Over the past six months I have been predominately operating PSK31 mode. PSK31 is a half-duplex digital phase shift keying modulation mode with a signal bandwidth of 31.25Hz. Its uses a varicode to represent ASCII characters and the net speed is about 50 words per minute. PSK31 has a low power requirement because if it's compact bandwidth and low snr requirements. Compact spectrum controlled through cosine pulse shaping and modest linearity requirements. The baud rate of 31.25Hz is conveniently related to the popular 8kHz sample rate of basic sound card circuits. The Varicode used supports the entire 127 cahracter set of the ASCII code. A bit error rate of 1 in a 100 is achieved at a signal to noise ratio of about 5dB. After propagation loss, if 50W PSK transmission achieves a workable 5dB SNR then a 50W SSB trnasmission with 100 times the bandwidth (3kHz) would achieve a dissapointing -15dB SNR. This simple example serves to present why PSK is well suited for DX operation without the need for significent kWatt transmit powers and beam antennas. Within the 3kHz pass band of the audio signal, there is enough "space" for up to 40 parallel QSO's. Although this density would be quite uncommon, I have easly worked 20M band conditions where there have been >20 with no difficulty. 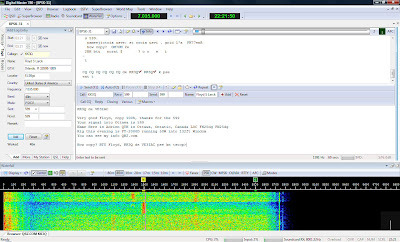 The program running on the PC will copy all the QSO's and hilight callsigns and CQ calls. Without touching the rig's VFO you can monitor all 20 QSO, and move between them for transmission. PSK31 was developed by Peter Martinez G3PLX. FT2000D or IC-7000, Well yes you need a transceiver. The transceiver needs to be set in USB mode, regardless of the band you are operating. Also, because linearity considerations, it is important that compression be disabled. Usually on the IC7000 I can run 50W PEP comfortably, the FT2000D can easily double this but is not usual operation. 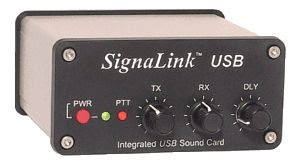 SignalLink USB, the USB to Analog converter, provides interface between the rig and the PC. In this case, the adapter provides the analog converter, and PTT control. 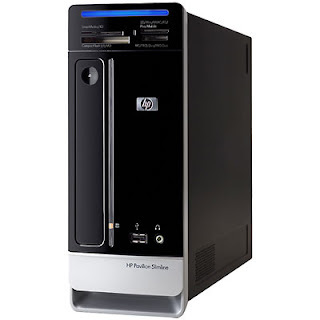 This device also provides isolation from Rig to PC. Transmit drive level is easily adjustable during QSO withe the front panel control. This is especially handy when you want to reduce power or give that 459 a bit of a boost. 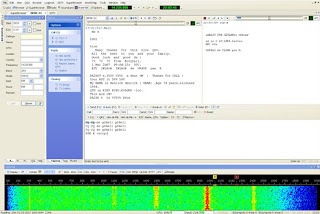 Ham Radio Deluxe, Is the heart of the PSK31 modem. The setup is quite straightforward, The radio is connected to the Signalink USB with a connector providing audio input and output signals as well as a PTT control to key the transmitter. Connection to the PS cannot be simpler than the single necessary USB cable. Many people use macros to help reduce the amount of typing involved. This can be a blessing and a curse of the mode. I personally think is it important to use these to help in the exchange of information, but it is also important to leave room for some personalization outside the scope of the operator's name. Vertical window on the left which shows QRZ info for the call sign which was identified. Horizontal window across the bottom which is a representation of the 3kHz audio signal from the rig. PSK transmissions show as vertical traces, after a while you can learn to recognize the characteristic shape, as well as those of other digital modes. Clicking on any one of these will set the receiver to that frequency and if a transmission is made it will be on that half duplex frequency. The horizontal window on the top is a copy window in which the decoded PSK ASCII will appear. The horizontal window below it, is the outgoing message window, This is where you can enter the CQ CQ CQ or the reply you wish to send. Logging is very slick because it is a one click operation, and information from QRZ is automatically inserted if you are on line. Operation of this digital mode is relatively straightforward and is very rewarding from a DX perspective because of its key properties. Bands can get very busy at times and there are no shortage of new calls. I have had spent as much time calling CQ or QRZ and driving long strings of QSO's as well as looking around and answering calls from others. South America, Africa, all of Europe, the Middle East and Russia are all within reach from my wire dipole. I'd suggest this mode to anyone who thinks that they might enjoy it.